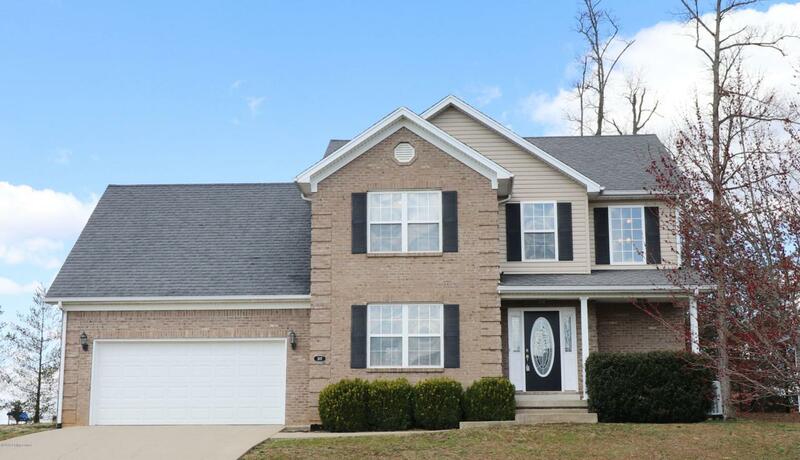 Don't overlook this beautiful home that has so much to offer a large family at a Great Price! 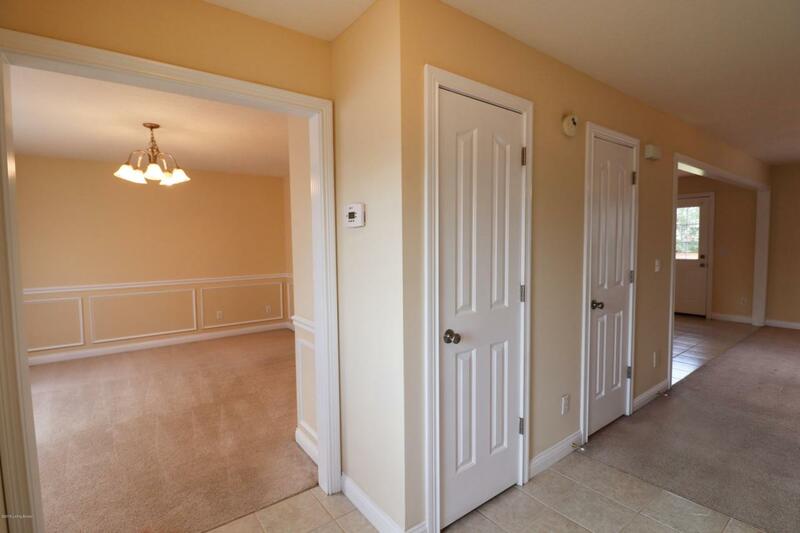 On the first floor you'll find: Formal dining room with beautiful wainscoting. Half bath. Spacious living room with gas log fireplace. Open kitchen with plenty of cabinets, black appliances with a new refrigerator, pantry closet and a bright breakfast nook. 2 car garage is directly off kitchen with epoxied floor! 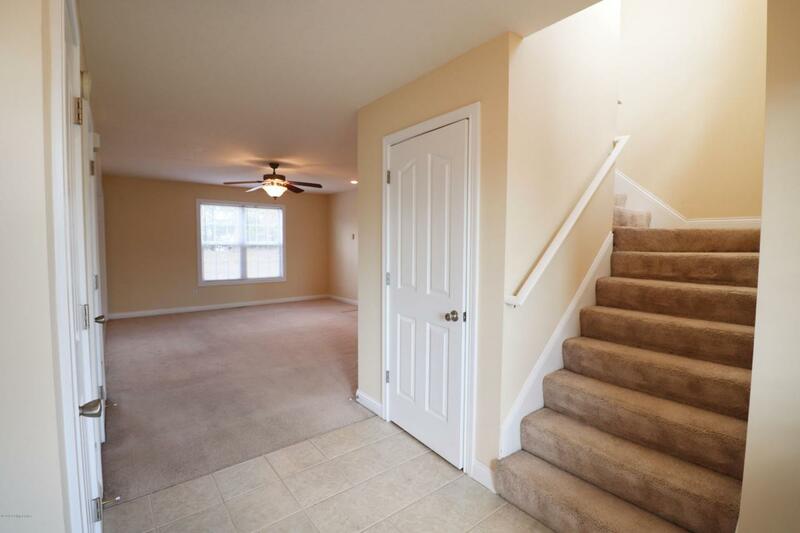 Upstairs are not 3 but 4 bedrooms with HUGE closets, & a large bathroom. Large Laundry Closet on the 2nd floor! NEVER drag laundry up & down stairs again! The large master suite features beautiful tray ceiling, huge master bath with whirlpool tub, separate shower, double sinks, linen closet & huge walk-in closet! Home is painted a neutral color throughout, waiting for you to make ityour own! Downstairs the unfinished basement has a rough-in for an additional bath, 9 ft ceilings, & a sump pump. A clean slate for you to finish to meet your family's needs. Very doable at this great price! Add to all of this the great location close to Ft. Knox, Etown, a quick hop on 313 puts you on a fast trip to I65 to easily reach Louisville as well. This home has it all!